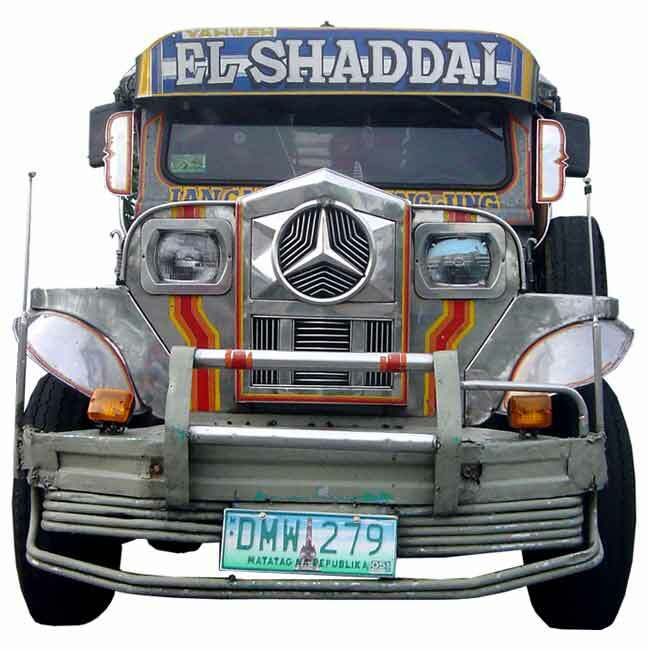 ElShaddai / Jeepney Collection No 30 / Philippine Jeepney / El Shaddai / StuartXchange. "Yagweh El Shaddai" on the panel board above windshield. The ubiquitous Mercedes Benz emblem. Small amount of sticker art used mainly as decorative stripes and lettering on the panel board. A fairly beat-up fender.